Home anime series Guilty Crown most underrated anime series of all time underrated action anime underrated anime action underrated anime series of 2017 watch anime 11 Most Underrated Anime Series You Should Watch NOW! 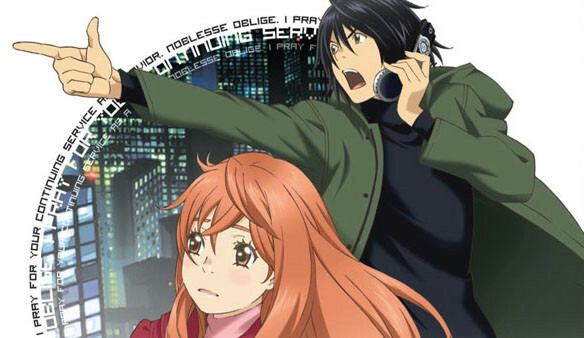 11 Most Underrated Anime Series You Should Watch NOW! This article talks about the most underrated anime series of all time. Or perhaps, the top underrated anime series you have not heard of. For a mangaka or an artist, a lot of factors can tell whether their work will get noticed by the anime fandom or not. Apart from its quality, how the anime gets marketed plays a huge factor to its success. Also, we need to take consideration of the varying taste of the audience. While some appreciate a state-of-the-art, deep, symbolic, and unique storyline, many fans still ride the bandwagon. After all, recommendation serves as a huge plus especially to those who don't want to take risks by handpicking on the available titles in their favorite streaming sites, only to get disappointed after watching a few episodes. Although it may seem rare, availability also meddles with this decision-making of what-to-watch-later. Even if some anime lovers are committed to school and work, they still find enough time to watch anime with their full attention. Only a few got no choice but to pick whatever fits their busy schedule. Take myself for example. I work almost 24 hours, get very little amount of sleep, and use anime to keep me awake or at least, lighten up the mood to help myself become more productive. When my work requires 80% focus but I need a little entertainment in my small workaholic world, I find it more comfortable to watch anime with light stories that I can understand without throwing long and frequent stares at my other screen. I don't want to give examples on this criteria, but the ideal anime series here would be 12-episode anime shows that you can easily understand. Some mainstream anime are easy to watch. On the other hand, if my job does not beg a lot of attention, and I don't feel like doing another work, I go with watching my favorite stories. Moreover, I seize this opportunity to watch those series that require a lot of thinking for everything to make sense. Examples include: Case Closed (Detective Conan), Hunter x Hunter, Yu-gi-Oh, Deathnote, and more. So where am I leading with this? Although I gave famous anime shows in my samples of what you need to watch with full attention, several mainstream anime belongs to the busy man's playlist. Also, those who own the luxury of time to watch anime have command over which anime will become "huge" in a short period. They got the numbers and they can influence passive viewers. Classic anime series and those coming from well-known production houses dominate the top spots. Classics like DragonBall Z, Code Geass, One Piece, and Naruto, sit at the top of the anime food chain based in popularity. If you got the time, we suggest for you to check reviews instead of just asking around. We gathered eleven anime series that deserve more than the amount of recognition they received over the years. If you are so much interested into getting more details as to why, please watch it. However, we'll do our best to provide as much info as we could. Guilty Crown occurs in the future time. Japan then becomes under GHQ, a quasi-type of government. The protagonist named Shu Ouma acts a key player to remove the current rule. He secures to protect people especially his loved ones in maintaining the Power of Kings. According to critics and others who watched Guilty Crown, the first episodes of the series is a blast. But as soon as the plot progresses, it became boring and predictable. The anime still garnered a lot of entertainment value, despite its shortcomings. Sailor Moon depicts a story of a girl in a magical world. Usagi Tsukino, a middle school student in Minato, Tokyo got herself a talking black cat friend named Luna. The cat gave her a magical brooch giving her the power to transform and become Sailor Moon. Together with other girl allies representing different planets, they set out to fight the evil forces while trying to find the silver crystal and the princess. The show did not turn out as something others wanted it to become. The drastic character changes seem to upset a few. Mamoru, also known as Tuxedo Mask, makes a perfect sample of a cast who got nerfed in terms of character. In the original anime series, Mamoru was a college student, probably on his early or mid twenties. This gives a crazy thrill to fans considering that Usagi is a minor. But because Mamoru is now a sixteen year old student, it turned out to be a common love partnership. 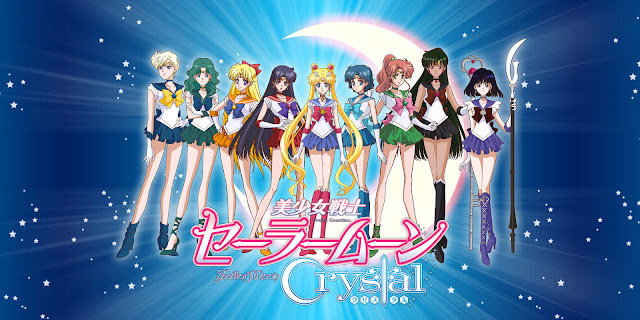 Being a remake, Sailor Moon Crystal got an unfortunate fate of being evaded and criticized by many. Although it disappointed some, it really isn't much of a disaster. The essence of girl power remains but obviously, these did not play well enough to sway the population. Buy Sailormoon Funko Pop Anime here! 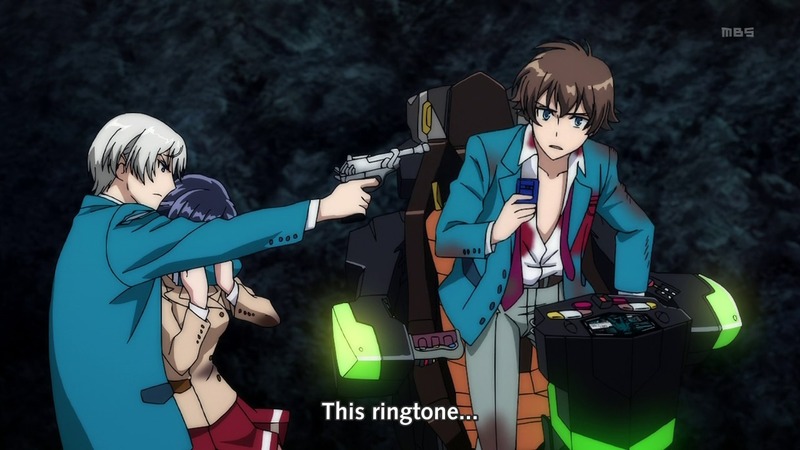 Kakumeiki Valvrave quickly ends fame, unlike the other Gundam Series. Most parts seem cliché from anime series of the mecha genre and characters, which in anyway not unique, garnering a reputation that far undercuts its true worth. 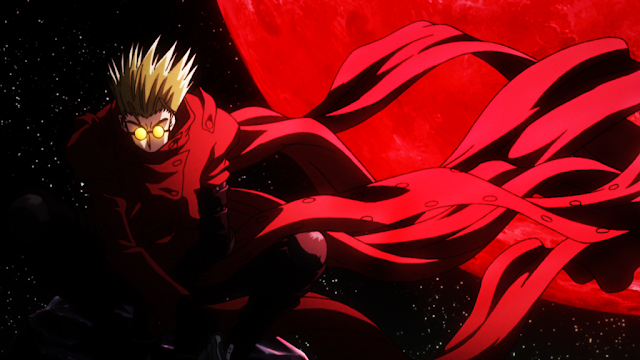 Trigun trails the adventures of Vash the Stampede, well known for working outside law protection. His reputation caused him a bounty of $60,000,000,000.00. However, his character and personality is actually the opposite. This anime receives decent reviews and earned numerous fans in the 90’s. 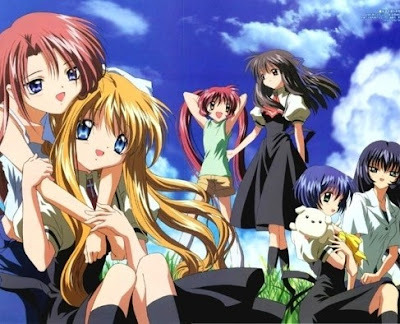 Still, the series ended not so well due to more current anime, despite positive reactions. Not much people rave for this anime and manga series. People talking about this in different forums see this as an older but better version of Fairy Tail. This makes sense as Hiro Mashima, author of Groove Adventure Rave also wrote the famous Fairy Tail Franchise. 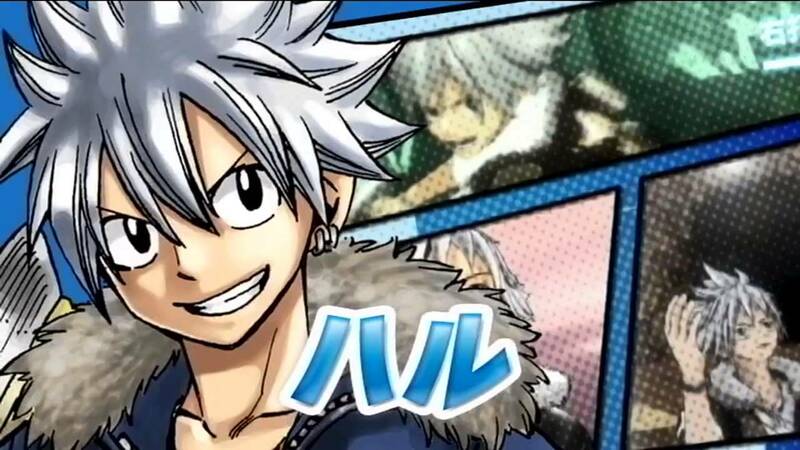 Some fans of Rave Master partly blames the production of FT as they feel Mashima neglected to give more efforts to its story because of this new project. However, those who read the last 20% of the manga and its ending felt scammed of that chance to get an exploding conclusion. The first arcs of this series look so promising with boss fights lasting many chapters. Some got so drawn, they became frustrated of experiencing the growing boredom just before a totally undeserved finale. This probably serve as one of the big reasons why readers did not recommend it to others. 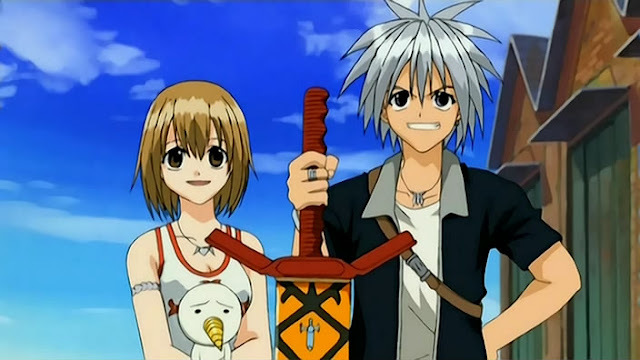 The story goes about a strong young boy Haru Glory who received great power from the Rave Master to defeat his enemies. He met with friends along the way and got into many epic battles. The entire adventure, though lacks popularity, is considered more superior than Fairy Tail in terms of plot. 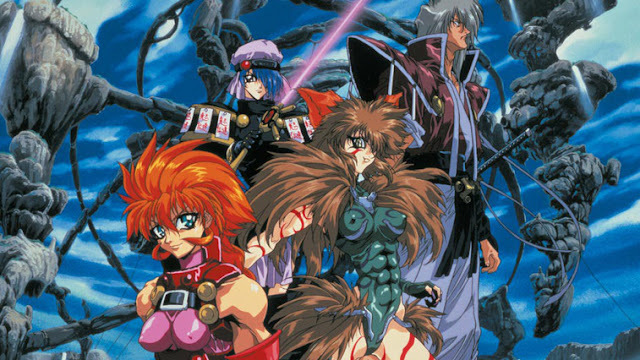 Shadow Skill portrays the tale of Elle Ragu, from Kuruda also known as Sevaar. With an adopted younger brother named Gau Ban. Ragu needs to secure and protect the Holy City of Julianess. Although the protagonist got himself an immense amount of debt, he still ensures to fill his obligation as a savior. The anime is superb in terms of character complexities and development. This 26-episode series may seem light and fun to watch. However, the story goes absolutely nowhere that it gradually dropped support from its earlier fans. You won't recommend this anime if you don't like random stuff appearing out of nowhere. Air tells the story of a traveler puppeteer named Yukito Kunasaki, who travels to find the mysterious Sky Maiden. When he arrived in a small town he meets an unorthodox strange girl, Misuzu Kamio. The girl somehow becomes related in his plan in finding the maiden of the skies. This anime failed due to more popular series of its author and its production studio such as Kanon and Clanaad. After its initial run the popularity of the series declined. With a total of 13 episodes, people feel that producers rushed the whole story. Produced in the 90’s as one of the Gundam Series (Gundam Wing and G Gundam). 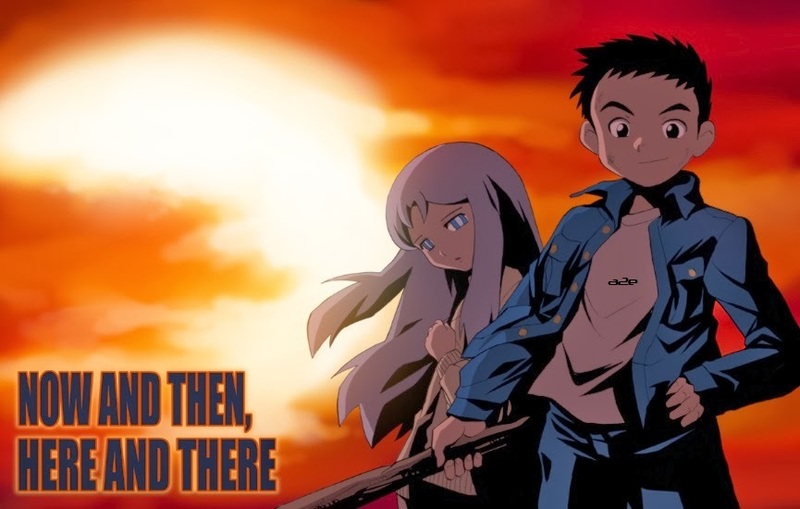 Gundam X takes place in a post-apocalyptic Earth, where most of the human population got wiped out after the initiation of a massive colony drop during the war. Later on, after 15 long years of disastrous war, Garrod Ran navigate the Gundam X to preserve the powers from repeating history. 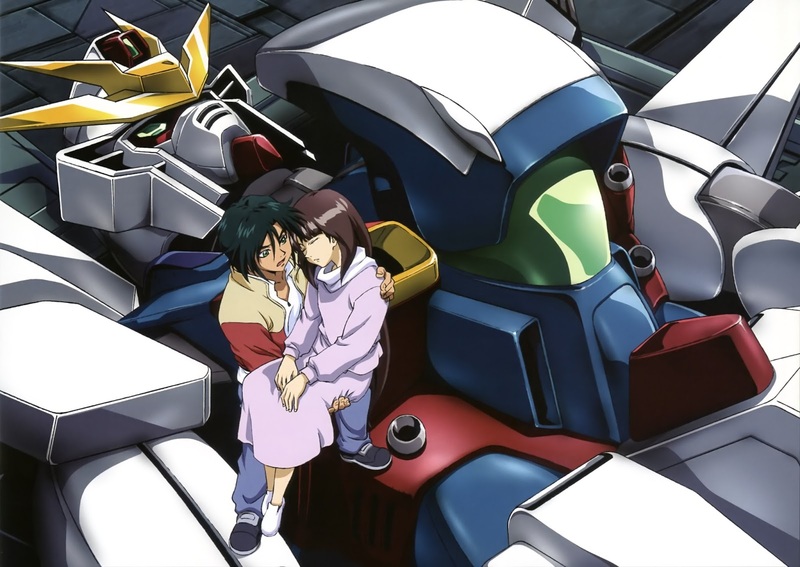 The series became well-known for being the only one aside from the two Gundam series, that got dismissed halfway of its run. Due to its low ratings, it got pulled out. Also, many viewers got dismayed because of the rush plot of the series. Moreover, the popularity of its two siblings did not help much in boosting its popularity. This anime presents the story of a usual Japanese teenage boy, Shu, with an optimistic spirit. Shu got himself over a post-apocalyptic world in a deadly game survival. Destiny will test him as he tries to save a girl named Lala-Ru on his way back home. Although this is beyond average, only a few people only know this anime up until now. The plot is epic, and the story will keep you glued in your seats. This should appear on everyone's list of recommended anime series. Some characters will do some development but it does not serve enough grounds for it to not receive the recognition it rightfully deserves. A suspense, romance and drama action bundled up into 11 episodes. A mysterious man got an amnesia and discovered that become a part of the game where he needs to save Japan, with only about $93,109,000 USD or ten billion yen. If all money gets used up, his game will be over. You need to watch its OVAs as it contains the conclusion. Despite the smart concept, unique plot, and unmatched thrill, the anime remains unjustifiably underrated. Just by reading the plot where Japan feel victim to an unexpected terrorist attack involving ten missiles will definitely make you want to watch it. A six episode Japanese anime television series produced of Xebec and Genco that entails a mysterious tree known as Yggdrasil. Rin Asogi runs a private investigation performing odd jobs includes from finding lost pets to hunting rare stamps. Reviewers always talk about its greatness. The main character seems likable, the action works fine and the plot looks unique. Its weird twist and turns may play as a confusing element for some but it does not deserve the low ratings it received. Truly one of the underrated gems to discover! Like what you've read? You can support our writers by sending a PayPal donation. Thanks!